Can I Drive My Rental Car Overseas? Why taking our vehicles overseas shouldn’t be more complicated post-Brexit. It’s not all that often that our customers want to take their hire car or van onto the European mainland, but it does happen. TJS has been around for almost exactly as long as we’ve been part of the EU and throughout that time taking a vehicle abroad hasn’t generally been an issue. 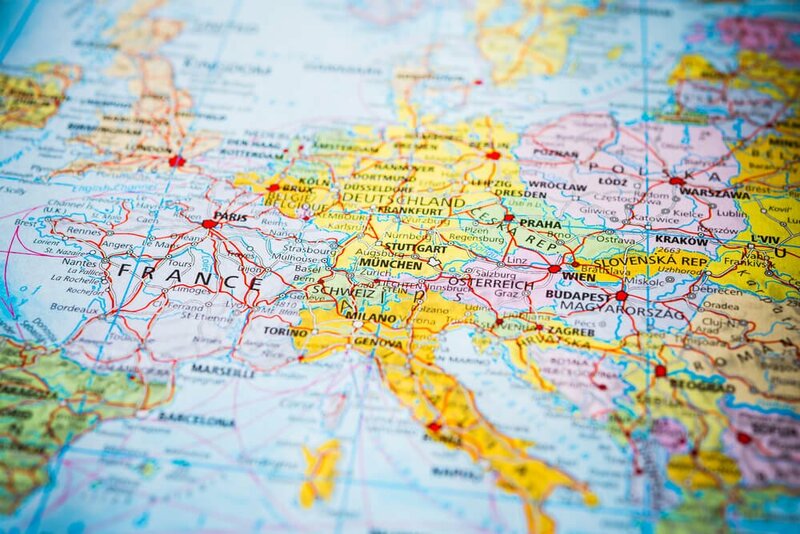 We do allow most of our vehicles to be driven in many countries across Europe, providing you tell us in advance so that we can arrange the additional insurance and breakdown cover. You’ll also need additional documentation – which we’ll give you when you arrange your vehicle rental with us. So what happens if, come 29 March, Britain leaves the EU without a deal? Well, as far as you and your rental car are concerned, not much. You can still hire a car or van in the UK and take it onto the European mainland. And whilst the specific documents you need may change, we’ll still provide you with them. You may need an International Driving Permit, although if you’ve driven overseas in the past few years, you’ll know that IDPs are required in a wide range of countries, including several in Europe which are not currently EU members (e.g. Armenia, Ukraine, Russia), and recommended in plenty of others (e.g. Turkey, Serbia, Bosnia, Bulgaria) – so the trip to the Post Office and the £5.50 charge may not come as too much of a shock. At present it looks as though there may be bigger issues for car owners taking their own vehicles onto the mainland than for UK drivers either hiring a UK vehicle for driving overseas or hiring a vehicle abroad. Green cards are required when driving across borders to show that your insurer will cover you. Green cards are issued by your car hire company when you rent a vehicle, but if you own the vehicle you’re driving into Europe, you’ll have to arrange your own. ‘Hang on a minute’ you might say: didn’t UK and European insurance authorities strike a deal in May 2018 waiving the need for green cards in the event of a no-deal Brexit? Well, yes they did, but it hasn’t yet been turned into legislation by the European Commission and, unless that happens, you’ll still need the card. Importantly, you’ll need to get that from your insurer one month before you travel and if you travel without it, you could be breaking the law. Renting a vehicle and travelling to Europe? Talk to us about it first.